Salonpas work and do so quickly. I found amazing relief from the pain of tendinitis. I recently developed a very annoying pain in my right wrist which would not go away. I work as a writer, the constant motion of typing caused pain and continually made it worse. I had to solve this problem, it was greatly affecting my work performance and like you I have to work. After learning it was tendinitis my doctor prescribed prescription Voltaren gel (diclofenac sodium topical gel). I used the pricey prescribed medication for weeks only to be let down when relief never came. My doctor explained it takes a long time for these injuries to heal and to continue using the medication. I followed doctors orders, refilled it three more times at over 60 bucks a pop, and that is with insurance prescription coverage. In addition, I was instructed to take two weeks off work allowing time for the tendons to heal. Amidst all my frustration a friend introduced me to salonpas and it worked like magic. Bottom line, long story short, I found my fix and it is an over the counter and affordable medication. 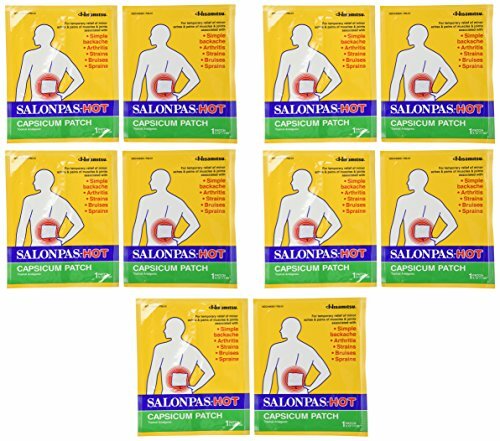 Salonpas is a medicated pain relief patch. The history of medicated pain relief patches dates back to the 18th century in Japan where these amazing little adhesive patches were common. The Hisamitsu company (founded in 1847) inherited this therapeutic tradition from generations before. Hisamitsu continually worked on the product to develop the best medicated pain relief patch possible for convenient marketing and distribution. 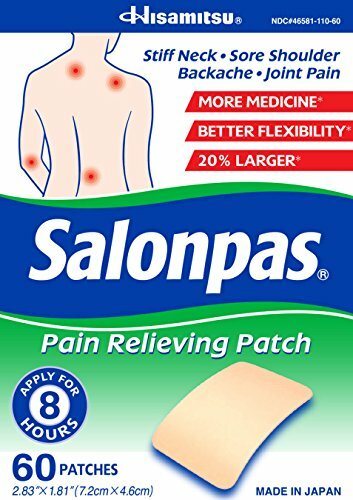 Salonpas is now available in over 50 countries and has become a staple for in home care and treatment of common aches and pains many commonly struggle with. Salonpas are made with all natural ingredients combined in formulas designed to be safe and eliminate pain. I personally use the type on the top to your right which contain camphor, menthol and methyl salicylate an all topical analgesic that works like magic. I’m thrilled and in fact shocked as to how well they work. There is also a capsicum patch which delivers comforting warm pain relief, which is best for a tired over worked back strained from over work. Is there some sort of pain, stiffness, inflamation and swelling you deal with on a regular basis? No, But I know someone who experiences pain everyday without relief. My prescribed medication did not offer relief of pain or a reduction in swelling which prevented normal mobility. I decided I had no choice other than to push through the pain, continue to work and accept the fact this was a condition I would have to live with for who knows how long. Over time I was convinced I must have arthritis. It was the only thing I had not been tested for and a solid explanation for the chronic pain. I had a nerve damage test to determine if I had carpal tunnel. The test is performed by inserting needles into certain points, sending signals through the needles via a complicated machine. The machine records the nerves response to the stimuli determining if you have carpal tunnel or ulna nerve damage. I had neither of the two and was left confused as to why I was in such real and serious pain and discomfort. I continued to experience pain, discomfort and restricted range of motion I felt defeated, my prescription medication did not work for me. This is the Salonpas I used for my wrist, it has an amazing 120 pads and last for months. The perfect size for applying to wrist or smaller areas. Tendonitis is inflamed tissue in and surrounding the tendon(s) of any area involving tendons which is a large portion of the human anatomy. This tends to occur in parts of the body that endure repetitive motion with long periods of constant stress. For example; typing, playing drums, bells and or other musical instruments, carrying heavy food trays, production line work, and any other task using repetitive motion throughout the day most everyday. Overuse of any tendons can result in inflammation and irritation of the tendons. When this occurs a period of rest and recovery is required for the inflammation to subside and ultimately heal. It is very difficult for many to stop work related activities that cause and acerbate the condition. It is for this reason anyone suffering from such conditions should treat the location with topical medications that relieve inflammation. 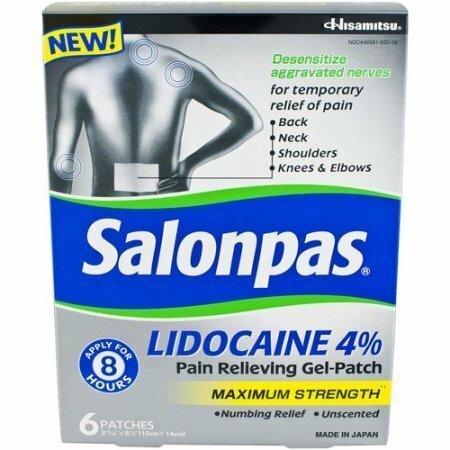 Using SALONPAS daily anytime an area begins to ache can help prevent tendonitis from getting out of hand and causing severe pain and inability to work. For best results use SALONPAS everyday you overwork your arms, legs, shoulder, knees, ankles etc. to avoid long term trouble. SALONPAS are safe, effective and can be used anytime of the day, everyday. 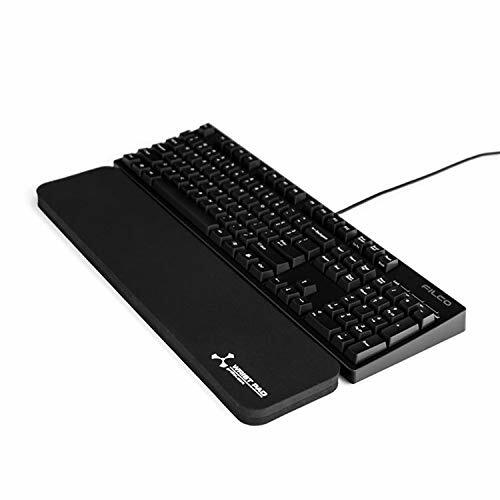 Always use an ergonomic keyboard pad when typing. Wrist tendonitis is common among typist. There are several tendons crossing others with all passing over the prominent bone. The constant friction of typing causes irritation manifesting into inflammation that only worsens as you continue the offending motions aka typing. I have suffered with wrist tendonitis over and over. I was in constant pain. I finally got smart, stopped to think about the problem and the activities creating and making it worse. I knew it could be prevented. I paid attention and took the minute it takes to unwrap and apply SALONPAS to the area I had over worked, it of problem. Wrist Tendonitis is commonly mistaken for carpal tunnel syndrome or arthritis. It’s common for those with wrist tendonitis to think they have arthritis or carpal tunnel syndrome. 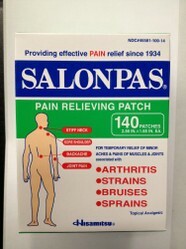 The good news is salonpas treats each of these conditions relieving the pain and inflammation. 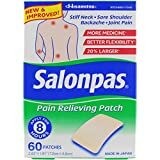 I used my prescription medication for months with no relief, it was only until I found SALONPAS I experienced real relief and ultimately recovery. A friend told me about salonpas, she raved about the pain relief salonpas offered her joint pain. I was delighted to find them, learn they were affordable and actually worked. I wish I had found this product years ago as it works for all aches and pains. Do you have a pain or pains you cannot stop? katiem2, Yes, I can relate to your experiences with pain. 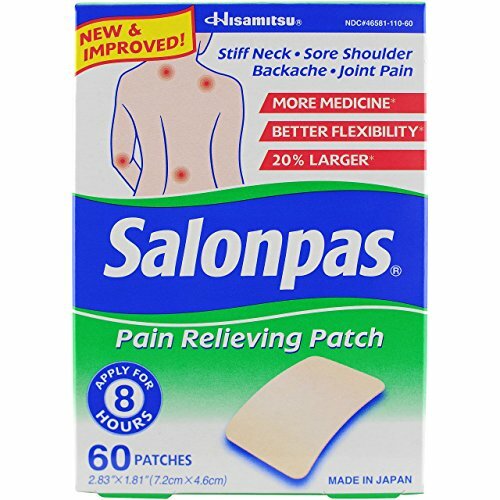 Salonpas sounds like a push item. It's my experience that muscle and soft tissue injuries can be far more devastating than a break (as long as it's clean and not too complicated) and, ironically, often for people who are in shape and have great muscle tone. I love Salonpas. I'm glad more people are discovering these pain patches. Burntchestnut, I love them! Works Great! I hadn't heard of Salonpas, but do know capsicun is great for relieving pain. Willie, Thanks for the referral, I've added a direct line to this very product Flexoplex, I look forward to reaping the physical benefits. Flexoplex is without a doubt one of the best joint supplements that I’ve found come across in 17 years. this product does the job and at an affordable price. I use it daily, and recommend it to many of my patients. Brenda, MonisMas, and georgettejohn, Good natural pain relief is a very good thing to have on hand and Salonpas is my favorite.